Many people often have doubts about the forex market and associate it with being overly complicated and also sometimes a ‘scam’. We are here to ease the minds of doubters and fulfil the dreams of believers. After spending years trading the forex market, it is now time to give back. Our aim is to grow a community of like-minded individuals through trading in order to reach our realistic targets and goals of being financially free. We want to help develop your trading and give you the best possible opportunity to become a well- rounded, successful and profitable trader. 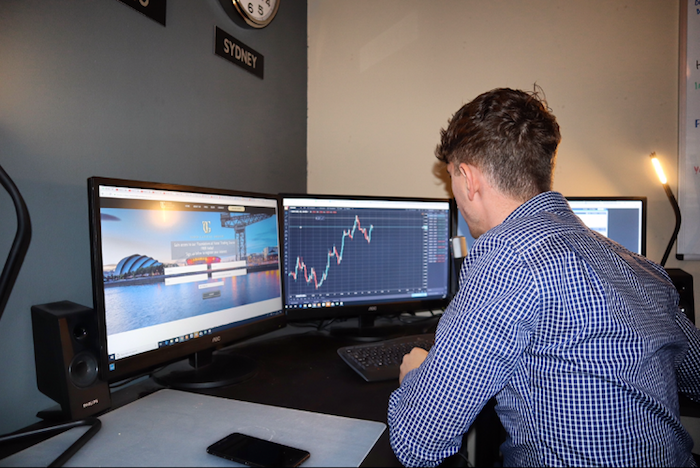 Each of our current students have all taken incredible value from our Foundations of Forex course and are learning more and more each day with our simple approach to viewing the market. Ask yourself this - How many people have made their fortune through a savings account? The answer is none. My name is Matthew Todd and I’m a full-time retail trader and owner of Todd Capital Group. I have over 4 years experience in the forex market and have now decided to start helping other individuals unlock their full potential. I started my trading journey when I was 18 years old when I started reading about investment from a financial magazine. I attended a success resources seminar where many wealthy entrepreneurs explained to us how they became so successful in their field. This included Author of ‘Rich Dad Poor Dad’ Robert Kiyosaki. After the event, I was hooked on forex and that is where my path to financial freedom began. I took course after course, learning from youtube and as many different traders and forums as I could find. While refining my technique I was seeing significant gains in my portfolio and decided that someday I could live my life trading forex. I continued to master my craft and one day everything just clicked. I was making more trading than I was from my 9-5 job and decided to quit and never look back. I’ve had the opportunity to travel the world and meet some great people doing what I do and it is now my passion and desire to help change the perception of forex that many people have and to kick-start a growth in my community for trading and financial freedom. I had many setbacks in my personal trading journey and I hope that my current students and future students will learn from these and find themselves in a better position than I, far quicker. It is now time to give back. Why learn from Todd Capital Group? Here at TCG, we pride ourselves on full transparency at all times. We have a like-minded group of students from around the world who all have the same drive and determination to reach our end goal, financial freedom. Instead of using indicator trading that can often over complicate trading strategies, we use price action to determine the movement of the market and with keeping things simple, it leads to greater results. We teach you how to identify trades and how to manage your risk appropriately so that probability is always on your side. Join the movement today. It's FREE!